Ladies with frizzy hair know that when it comes to products, anything that puts moisture back into the hair is a must. Between heat styling and coloring, frizzy hair has almost no chance but to succumb to the frizz, or find a product that puts it to rest. 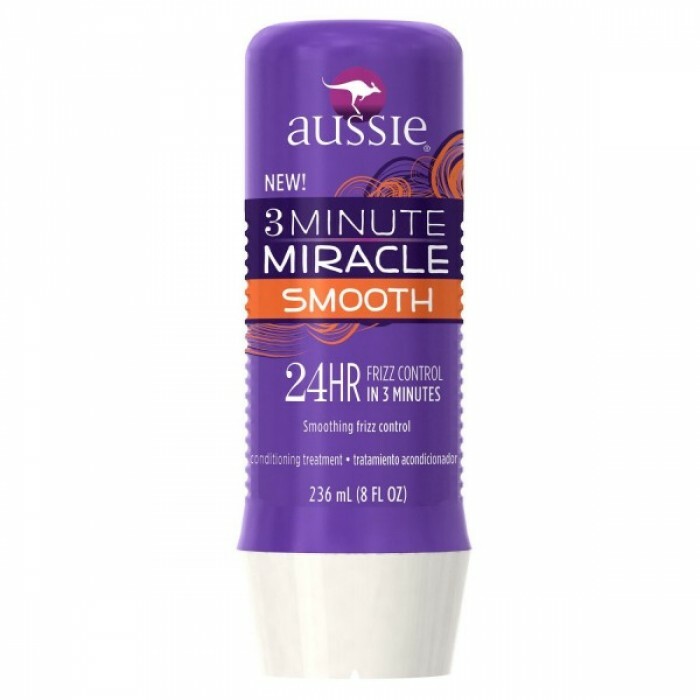 Luckily, Aussie’s new 3-Minute Miracle Smooth formula does just that for a drugstore price. Leave the 3-Minute miracle in your hair for just three minutes as opposed to the 10 or 20 minutes other conditioners require and you’ll have smoother hair without wasted time. The packaging makes application easy. Simply squeeze out product into your hand, but don’t even worry about a cap to snap or twist back on. With ginseng root and olive oil, Smooth helps to give you sleek hair, plus protect it from future damage. Even though it’s targeted towards girls with frizzy hair, Smooth works on just about every hair type. Also, if you’re interested in the 3-Minute miracle but you’re looking for something that targets color, fine hair or strength, Aussie has an entire line of new 3-minute Miracle products that are meant for each specific need.